UPDATED: Thu., June 15, 2017, 9:12 p.m.
BOISE – Former state Sen. Russ Fulcher announced Thursday he is dropping out of the 2018 gubernatorial race to run for Idaho’s open 1st Congressional District seat. The surprise decision came just weeks after U.S. Rep. Raul Labrador announced he would run for governor rather than seek re-election in his conservative-dominant congressional district. 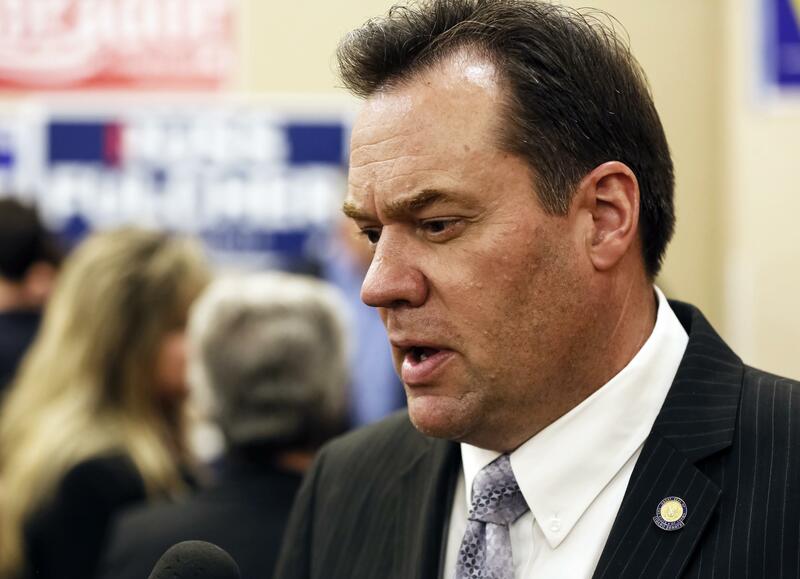 Fulcher, a Republican who launched his gubernatorial campaign late last year, said he decided to switch campaigns because he and Labrador should serve in complementary roles. Fulcher had previously rebuffed suggestions he should run for another office rather than run against Labrador, who has similar political leanings but is believed to have stronger name recognition and more campaign resources in the state’s top competitive race. “I believe that government exists to serve the people, not the other way around. Raul and I have worked together for a long time to promote Idaho families and encourage government to act within its proper constitutional role,” Fulcher said in a prepared statement. Labrador said he endorses Fulcher’s decision and urged conservatives to support his bid for governor. “I am convinced that this is the best move for Republican party unity and also the best move to change the direction of our state and country,” Labrador said. Fulcher narrowly lost to Gov. C.L. “Butch” Otter in 2014 despite winning all three of Idaho’s most populated counties – all of which are in the 1st Congressional District. Fulcher joined the race just several months before the primary election and after Labrador decided not to run for the seat. The two served together in the Idaho Legislature and were then known as among the more far-right-leaning members in the Senate and House, with strong support from Idaho’s most conservative voters. The only other Republican running for the congressional seat is former Idaho Attorney General David Leroy, who characterizes himself as conservative but says he is not as far to the right as Labrador. Besides Labrador, former Lt. Gov. Brad Little and Boise businessman Tommy Ahlquist are running in the GOP race for governor. Published: June 15, 2017, 9:10 p.m. Updated: June 15, 2017, 9:12 p.m.